The brilliance of this jewellery item area unit gold plated brass metal adornments and also the plain dark inexperienced girth of the bangle adorned with designer strip. This magnificent peacock bangle brigs the colorful and sparkling beauty of peacock wings to life with the mesmerizing artwork and dazzling stone layout. 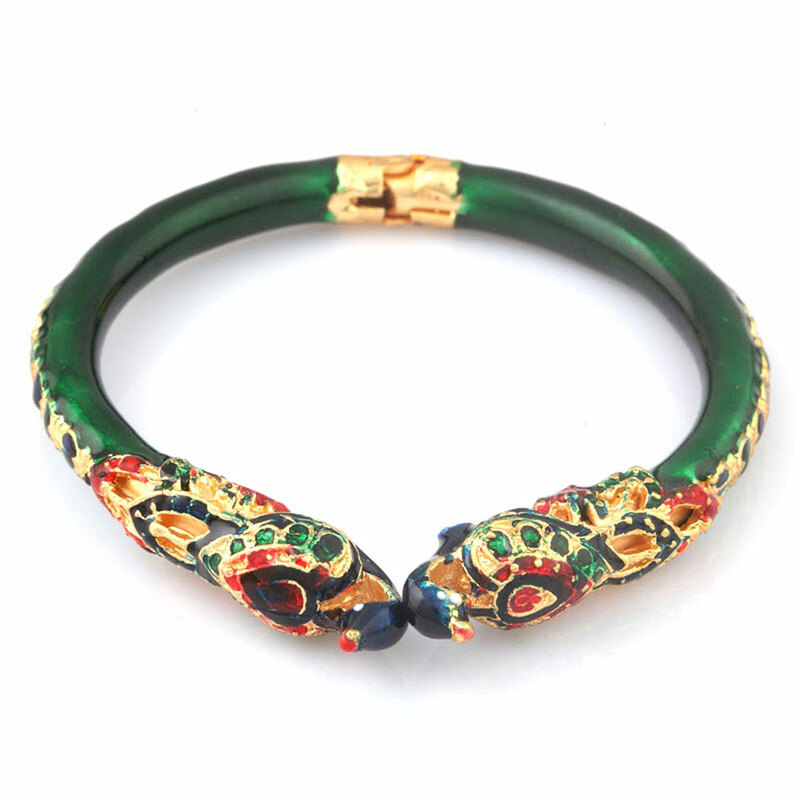 Adding to Read More..the brilliance of this jewelry item are gold plated brass metal adornments and the plain dark green girth of the bangle adorned with designer strip. Show Less..